Copyright : This item is reproduced courtesy of Buddha House. It may be printed or saved for personal research or study. Use for any other purpose requires written permission from Buddha House and the State Library of South Australia. To request approval, complete the Permission to publish form. Today the Buddhist Society of South Australia operates from Buddha House at Fullarton, welcoming those exploring the Buddhist spirituality. 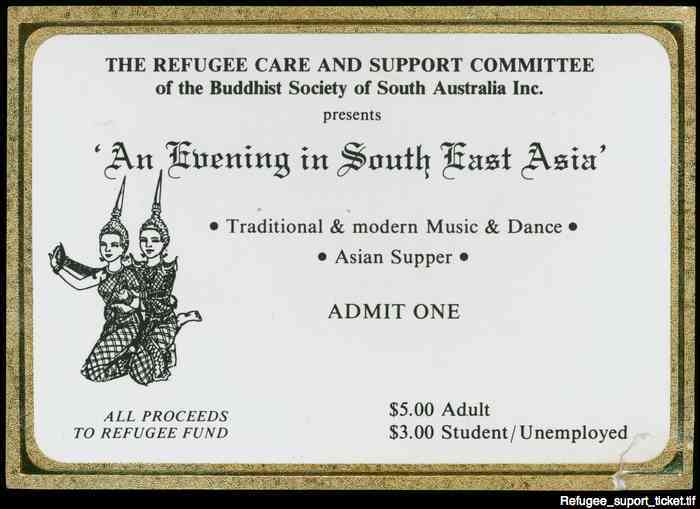 In the 1970s the organisation had a particular concern for the care of refugees arriving in Australia from South East Asia, as many of them had a shared history with members of the Society.